The last post pointed toward a successor that would talk more about dimensions of competition, emphasizing the “non-primary” dimensions. This allows some attention to the emerging question of “niche” parties and points directly to the question of salience that I promised would follow. From this we can then look at the links between the kinds of conflicts and their roots in society (or lack thereof). The analysis in the previous post suggested a fairly wide consensus about the relatively narrow degree of dimensionality in most polities: something more than one dimension, but rarely more than two dimensions, at least not two dimensions of significance equal to the first. What scholars find in most cases–whether they use manifesto data or expert survey data–is configurations that consist of one dominant dimension of conflict along with one or more subordinate dimensions, (analogous to the “one and two-halves party system” metaphor discussed with some disdain by Sartori (1976, 168) or perhaps metaphorically akin to the higher dimensions in string theory which are curved tightly in on themselves). The primary dimension is most often but not always socio-economic. The number, type and strength of non-primary dimensions vary rather significantly from country to country (and, Stoll  would suggest, over time). The question is how we should handle these various dimensions in scholarly analyses. The major dimension(s) provide(s) a challenge in their composition, in how many issues they bundle. Bakker’s work suggests that in most Western European countries the economic dimension bundles in the GAL-TAN dimension bundle whereas in some (especially Greece and Austria) it does so to a much smaller degree. In postcommunist Europe, by contrast, the overall tightness of the bundling is somewhat lower (both mean and median correlations between economic and GAL-TAN positions are lower by about 0.10). For the dimensions beyond the primary conflict, problems of definition are different and there are questions of measurement and significance. These secondary and tertiary dimensions are clearer in that they bundle fewer issues, but our everyday vocabulary–and even our scholarly vocabulary–is ill-equipped to deal with these dimensions and the parties that occupy them. Perhaps the most significant evidence of this inadequacy is the recent emergence of the notion of the “niche” party into active scholarly consideration. A slightly-more-than cursory search of electronic sources suggests that this term has shifted over time from a rather idiosyncratic and descriptive term toward a theoretically-grounded concept. The etymology of the term “niche” is little help, deriving from the architectural term for “a recess for a statue”(OED http://www.oed.com/?authRejection=true&url=%2Fview%2FEntry%2F126748) into a variety of meanings that imply removal, seclusion, and a general notion of “apartness.” During the past century ecologists have transformed the word into a metaphor of suitability: every living thing has a “niche” outside of which it is not as fit for survival. Nor does the phrase “niche party” have a long history that would offer suggestions on how it is best to be used. The phrase does not to have been in common use before the early 1990’s, with no mentions at all in the Lexis-Nexis Academic Universe or Google Books databases before 1993. The early uses of the term appear between 1993 and 1999 tend to apply to small parties in systems with two or three dominant parties: the Progressive Democrats in Ireland, the New Democratic Party in Canada, the Ethnic Minority Party and Christian Heritage Party in New Zealand, and Shas in Israel. Niche parties are thus somehow distinctive, small, and unlikely to get much bigger. Beyond these core characteristics, however, the precise identification of niche parties becomes more difficult and the boundaries between definitional and empirical limits begins to blur. More recent definitions help to narrow down the field, but they do not necessarily agree. First, niche parties reject the traditional class-based orientation of politics. Instead of prioritizing economic demands, these parties politicize sets of issues which were previously outside the dimensions of party competition… [T]hese parties … challenge the content of political debate. Second, the issues raised by the niche parties are not only novel, but they often do not coincide with existing lines of political division. Niche parties appeal to groups of voters that may cross-cut traditional partisan alignments. Removing the restrictions on the main dimension of competition/class-based appeals is significant. It minimizes the question of dimensionality, replacing it with proximity (“extreme”, “non-centrist”), and also eliminates Meguid’s demographic limitations that exclude class-based parties from the “niche” category. Party A and B occupy opposite positions on a single issue dimension (which could be taken here to be the “main” one except that this method does not identify a “main dimension”) and are low-emphasis on all the others. They thus have quite low niche scores and are quite grey. Party C’s niche score is even lower because it is likewise low-emphasis on all issues except one and (thanks to parties A, B and G, it is relatively close to the mean on that one issue. Parties D, E, F, and G all have unbalanced emphasis in their own way, either on one issue (E and G) or two (D) or all three (F) and are therefore brightly colored. It is noteworthy here that while starting closer to Meguid’s notion of dimensionality than to that of Adams et al, Miller and Meyer end up allowing niche status to parties on any dimension of competition as long as it sufficiently different from the emphasis of other parties. In practical use, this measure still exhibits a certain degree of awkwardness. In particular it appears to be highly sensitive to number and type of dimensions used for calculating the overall niche scores. Miller and Meyer use party manifesto data arranged in well-defined categories for Western Europe which appears to serve them well (I cannot judge at first glance), but for Eastern Europe where manifesto data is notoriously problematic, this method might not work as well (and it certainly depends in Miller and Meyer’s case on the not-always-accurate assumption that the sheer amount of verbiage translates into emphasis). The method should, in theory, be usable with expert survey data on the salience of issues for particular parties, but these vary substantially in terms of what “dimensions” they ask about. As a result, the results for “niche-ness” of particular parties can differ, even in relatively stable party systems. The two tables below present results of my preliminary calculations for the two countries I know better than others using the available expert survey data on emphasis. The results are extremely consistent for some parties and quite different for others, particularly those with some “niche” characteristics or others. Used here the method does a fairly good job identifying parties that are clearly mainstream by any reckoning–the Czech ODS and CSSD and the Slovak Smer–but for other parties there is significant disagreement, and many of the parties producing the sharpest disagreements are those that defy easy non-quantitative categorization. Green parties: The Green party would be considered “niche” by both Meguid and Adams et al and falls into that categorization in both measures of the 2007 Eurequal survey but not in the 2006 North Carolina survey, in large part because the North Carolina survey simply does not have a measurement of environmental questions and so its niche-ness comes out only on lifestyle and ethnic minority questions. Communist parties. Both the Slovak and Czech communist parties (the unreconstructed ones rather than their social democratic successor parties) emerge as slightly but not overwhelmingly more niche-like than other parties. That such parties are an open question corresponds well with the disagreement between Meguid and Adams et al about whether to include them in the niche category. Christian Democratic parties. While not included in either Meguid or Adams categories, such parties in postcommunist Europe (and in certain parts of Western Europe, particularly Scandinavia) often appear to operate by many of the principles specified by Meguid: avoiding class based appeals (they did this from early on), taking up issues off the main issue dimension (church and morality issues are not the main dimension in most of these countries), and keeping a relatively narrow range of issues, though they did at least claim to take positions across all of the major issue areas. Both the Slovak and Czech Christian Democrats put a foot in the niche category and in the 2002 survey Slovakia’s Christian Democratic Movement receives the highest niche score of any party in the survey. At the same time it (and its Czech counterpart) show few niche qualities at all in the 2007 Eurequal survey long version, because their distinctive stands on lifestyle issues are diluted by an extremely large number of economy-related questions in the survey. Ethnic minority parties. Slovakia brings three additional parties into the niche debate, all of which made strong ethnic-based appeals. The most clearly niche-like party of these three–indeed perhaps of all the parties listed in the two tables above–is SMK (the Party of the Hungarian Coalition)–a party with an almost purely ethnic Hungarian voting base and no major policy issues beyond minority rights and related issues. Yet this party produces a high niche score only in the 2006 North Carolina survey which has three questions (out of a total of twelve) on nationalism, ethnic minorities, and decentralization. The same survey suggests an equally high niche score for the SNS (the Slovak National Party) which takes diametrically opposed but equally emphatic positions on the same issues. Liberal parties. Finally, there is the question of liberal parties. These are often small parties, sometimes with relatively narrow issue emphases, but because in Western Europe they tend to compete on the main issue dimensions, they rarely fall into the niche category and are not included either by Meguid or Adams. In Slovakia and the Czech Republic, however, they often appear to fall into this category. The Czech party US (Freedom Union) received a positive niche score in because of its position on social rights (matched and countered by its election coalition partner, the Christian Democrats) and another liberal party, ODA received one of the highest niche scores on the 2002 Eurequal survey (though largely because the party was by then moribund and received low salience scores on nearly every question. In Slovakia, one small liberal party returned extremely mainstream scores (SF, Free Forum) but two others returned scores that were mixed on the niche side (SDKU, the Slovak Democratic and Christian Union) or strongly niche-like (ANO, the Alliance of the New Citizen) on the basis of social rights questions which in Slovakia (as in the Czech Republic) are not a high salience issue when compared to others. Even if this application of Miller and Meyer’s formula in this form and with this data does not (yet) provide a fully reliable measure, their standard for measuring niche parties does gets at the key issues of “niche-ness” in Central Europe and helps us think more clearly about politics in the region. Meguid took a helpful first step with her attention to secondary and tertiary issue dimensions, and Wagner and Miller and Meyer add a useful emphasis on issue salience that edges into areas of issue ownership. One way to think about what politics is “about” in a particular country is to look at what the main political forces fight about and what other political forces “fight to fight about” turning political debate onto some other topic where they are strongest. From Schattschneider and Riker through contemporary scholars such as Green-Pedersen, there has been a strong current of emphasis on the meta-struggle about the issues over which we struggle. In this sense we might regard niche parties simply as those that achieve limited success in the herasthetic realm. They neither fail so badly that they gain no voters nor succeed so well that their issue dimension becomes the dominant one. Or (since according to Miller and Meyer this sort of “niche-ness” is not static), they may be simply passing through from one of these extremes to another. Niche parties thus call our attention to the partial dimensions that surround the main conflict, the asymmetrical battles between one party and all the rest. They can be characterized as positional conflicts between two rival policies, but it may be better to characterize them as conflicts of attention between parties that do not care and parties that do. So it is little surprise (in retrospect) that such parties behave differently from others since their struggle is not to attract voters to a position but rather to attract voters’ attention to that position and hold it there. In a sense it could be argued that all parties seek to do this, even on main dimensions. So called mainstream parties seek out the niches within the main stream as they try to attract attention to a specific aspect of the issue where they hold the advantage: Party A’s reputation for lowering taxes versus Party B’s reputation for improving services (Colomer and Puglisi 2005). It is not clear to me whether this is qualitatively different from the kind of effort undertaken by niche parties, but it does seem different to the extent that the two issues are bound up in the minds of voters: if lowering taxes and improving services are inextricably linked in most voters’ minds, then Party A’s appeals to its own area of strength cannot but cast some attention to the rival strength of Party B. It may be for this reason that a considerable part of party effort may be in this linking or de-linking of issues to one another. If Party A can argue successfully that the level of taxation has nothing to do with the quality of service, then it can create for itself a “niche”–and because it is a niche within the main stream of political life, where voters are already passionate and attentive, it may hold the key to political majority. For less-discussed, less-salient issues, an equally persuasive effort at projecting issue ownership will net fewer voters and so niches outside of the mainstream, and so such a party must expend its effort not only to persuade that its position is right, and not only that it is the best party to advance that position, but also that the position matters in the first place. So we should expect niche parties to be different from other parties. But perhaps by the same token we should expect niche parties to be different from one another, because some of these partial dimensions, secondary and tertiary dimensions may have fundamentally different characteristics from others. And here it is necessary to raise the slippery question of demographics. Demographic characteristics are admittedly less solid than they look. Questions on public opinion surveys separate respondents into rigid, well-defined categories that seem relatively permanent but even once solid fixtures like class and religion are now in seemingly permanent definitional flux, and as with attitudes, the role of demography in political decision-making depends not only on an individual’s characteristics but on the salience of those characteristics in political struggle. And salience is not the only fluctuating element. A key element of demographic (and attitudinal) determinants of politics is the sense of mutual-recognition and groupness among those who share them. These are often overlooked (perhaps because they are not easily quantified) but play a major role in shaping their importance. Political decisions are not always made by individuals who participate in groups; they sometimes emerge within groups and capture the allegiance of the individuals involved. That allegiance, like the demographic characteristics themselves, may be sticky, and may produce fairly high barriers between “in” and “out.” And here, finally, is where niche parties come in. Those whose partial issue dimensions depend on individual sentiment and loose attitudinal configurations should behave quite differently from those that stem from hard-to-change characteristics and mutually reinforcing social circles. Both must constantly fight for the salience of their chief position; only some will do so by encouraging group identity and interconnection. It is this latter consideration that now causes me to wonder a bit about the wonderful work by Meguid, Wagner and Miller and Meyer. In one sense it exactly what we need: serious research about partial dimensions and their empirical dimensions and dynamics. In another sense, though, it may be a misnomer to talk about this in terms of “niches.” I am struck by a passage of Miller and Meyer which notes that “Niche parties do not have their nicheness carved in stone”(2011, 8) and the contrast between this interpretation and the original meaning of niche which was by definition something carved in stone. Of course etymology is not destiny, but there is something relevant about the carved-in-stone-ness of certain party positions. Niche parties may all shift political competition to questions more relevant to their own programmatic strength, but there is a fundamental difference between greens and majority nationalists on the one hand and ethnic or religious minorities on the other. The latter come as close as possible to the architectural metaphor of a niche: the recesses are deep and the walls around them quite thick and hard-to-penetrate. Of course the same can also be said for some Communist Parties, which may explain their inclusion in the work of Adams et al. Compared to these, majority nationalists or greens or cultural liberals (in Central and Eastern Europe at least) do not fit the same profile, do not face the same advantages in holding a well-defined voting base or the same difficulties in trying to expand. Some parties qualify as niche by either standard–they have both a high degree of group closure and a non-central issue. Of the remainder, some exhibit only collectivity or identity niches but remain on the central dimension of competition, while other occupy (potentially less enduring) issue niches without a sense of group identity or commonality beyond the issue at hand. This question needs more work that is not strictly relevant for my immediate purpose, so I will come back to it in future posts. In the meantime, this discussion of niche parties leads directly into the last two topics I want to discuss in this “work in progress” series: issue salience and ownership and parties’ demographic and collective ties. But more on those in a few days. The last post ended with a comment on the need for understanding the nature of the conflicts and the role of political institutions, but in retrospect that is a bit premature since before I can talk about the tension between the anchoring of conflicts in socio-demographic structures and the manipulation of conflicts by political elites, I need to explore further the nature of the conflicts themselves. In one sense I already started to deal with the question of bundling in the previous post to the extent that, short of arguing that an particular issue is not relevant, the only way to reduce the number of dimensions of analysis is to bundle some issues with others. Of course all “issues” are themselves bundles of specific questions that touch on multiple dimensions. in some cases multiple dimensions of debate may merge (or some may submerge) to form a single dimension of competition, whereas, as Colomer and Puglese note, a seemingly-unidimensional political question can quickly become the subject of a multi-dimensional debate (2006) (The phenomenon is easily observable in the case of the U.S. health care debate in which some Republicans chose to attack the Obama admiminstration’s proposals on financial grounds while others focused on its relationship to abortion and euthanasia). What emerges as a result is the challenge of measuring dimensionality: how many dimensions shape political competition, and what specific issues do those actually contain. As Budge and Fairlie note, the upper end of the dimensionality scale has “as many dimensions as there are political actors and public preferences held by them – forming an underlying space of almost infinite dimensions therefore”(cited in Colomer and Puglese). The need for clarity, however, calls for the least misleading possible reduction to a relatively small number. At the far end of this process of reduction, is the uni-dimensional conflict between two dominant positions which bundle together everything else (the number of dimensions more or less inversely related to the size of their bundles). appears to offer both sense and shape to an otherwise complex political reality’ at three levels. First, in terms of voters, data from the European Social Surveys conducted in recent years show that more than 80 per cent of voters deﬁne themselves as left- or right-wingers. Second, regarding observers and researchers ‘expert surveys’ systematically identify the left-right conﬂict as one of the most relevant issues in the competition among political parties. Third, with party programmes and electoral platforms, content analysis systematically shows that ‘some form of left-right dimension dominates competition at the level of the parties’ (Mair 2007: 209–210). But in this dimensional reduction there emerge two significant follow-up questions: what do “left” and “right” actually mean in any particular case? and how much does the left-right dimension capture political competition in any particular country. 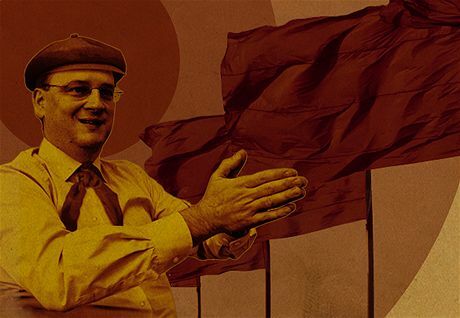 The difficulty of finding a unified sense of “left” and “right” is especially difficult in postcommunist Europe where Communist-successor parties pursue pro-market economic reforms (Tavits2009) and where debates over ethnic rights and corruption defy easy categorization into “left” and “right.” Nor do all “lefts” and “rights” easily coincide. Recent research by Bakker et al (The Dimensionality of Party Politics in Europe, http://www.jhubc.it/ecpr-porto/virtualpaperroom/104.pdf) uses the University of North Carolina expert surveys to assess the correlations between party positions on an economic “left”-“right” scale as well as the Green-Alternative-Libertarian (GAL) versus (Traditional-Authoritarian-Nationalist) scale in which the former receives the label “left” while the latter is considered “right.” They find an average correlation coefficient between the two scales 0.65 and a correlation coefficient above 0.50 in eighteen of the twenty-four European cases they study (EU members except for Cyprus, Malta and Luxembourg) and above 0.75 in nine of the twenty-four, suggesting that a left-right dimension is fairly reliable in many cases. On this measure postcommunist countries actually scored slightly higher than other EU members. A separate analysis of unbundled issues for the same set of countries found multiple dimensions in every country, but most of the twenty-four cases, the strength of the second dimension was well below that of the first, and the ranking of dimensionality in the countries corresponded relatively well to their rankings in the analysis of the hypothesized main dimensions. Other aspects of their work, however, suggest a degree of caution about a simple left-right framework, particularly in post-communist Europe. First, whereas all non-postcommunist cases yielded a positive correlation coefficient between economic left and “GAL Left,” among the postcommunist cases there was considerable variation: three countries showed a positive correlation (Slovenia, Latvia, Estonia) while seven others produced a negative correlation in which “economic left” coincided with “TAN Right” (Hungary, Romania, Poland, Bulgaria, the Czech Republic, and Lithuania) and one case produced no correlation at all (Slovakia) (2010, 6). Only in the first three cases, then, would it be possible to talk about a unidimensional left-right axis, while in the larger group of seven the unidimensionality is difficult to label (is a particular side to be called “left” after its economic aspects or right after its cultural aspects) and in final case the problem does not emerge because there is no dominant dimension. The analysis also corresponds with the findings of Henjak (West European Politics 2010) and Whitefield and Rohrschneider (and before them, Lijphart, 1999), that while nearly all countries exhibit a fairly significant socio-economic dimension, there is considerable variation in the nature of the secondary and tertiary dimensions. At the risk of going further afield, I will talk about those “other” dimensions in the next post (as promised, actually) before moving on to the question of salience and from there to the conflict-related interaction between voters, party organizations and party positions. The last post began what will probably be a fairly discussion of how we should think about “cleavages” in the early 21st century in what we currently call post-communist Europe (a conceptual framework that becomes less relevant every year). I continue that discussion here with attention to one of the questions raised last time: The number and type of issues about which the main actors in the political system compete. Today I simply begin with a list of “things that people say” and some cursory analysis. When scholars who work on Central and Eastern Europe look for the main dividing lines, whether at the level of socio-structural grouping or attitudinal/value difference, what do they tend to find? Many of these are consistent with Lipset and Rokkan’s list as used by Berglund and Ekman, but Kitschelt’s framework here moves away from identifying specific groups toward identifying specific dynamics: religiosity becomes a kind of cultural preference, while economic questions of sector and class are disaggregated into a combination of status, occupation type, income, skill, and risk exposure. Other scholars have engaged in a similar elaboration and transformation of attitudinal and value issues, not only separating these from assumed socio-demographic mooring but also seeking to split (and sometimes recombine) key elements. But even though the differences between Western and “Eastern” Europe have diminished, Stoll’s list overlaps imperfectly with the lists employed by those who research the region. Of these, perhaps the most extensive is that of Whitefield and Rohrschneider, who identify eight primarily attitudinal conflicts in their expert survey (They also identify two variants of Lipset and Rokkan’s sociodemographic divisions–regional and urban-rural–but they do not use these in much of their subsequent analysis) (Comparative Political Studies, 2009, Appendix). Nationalism and Internationalism (for example, views about the EU). preferences over the external boundaries of polity membership (“group:” insiders and outsiders). Even this triple division is limiting, however, since it folds questions about democracy into the “grid” category. Empirical work by Whitefield and Rohrschnieder find that democracy questions in Postcommunist Europe tend to correlate instead with national questions, but even here evidence suggests that the connection is contingent rather than necessary (Deegan-Krause 2007), and so it is best to hold democracy separate as a fourth relevant dimension. 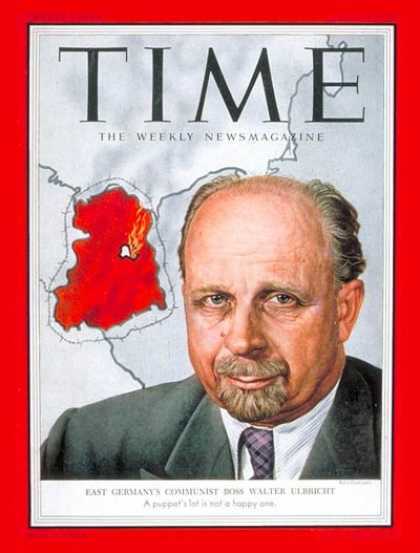 Nor does any of this narrowing of dimensions address the role of the Communist era, which is not quite a demographic question–though it is closely related to the shift in individuals’ respective demographic positions between the Communist and postcommunist era–and not quite a purely attitudinal question. In this it may resemble to some extent the question of religiosity, which has both ascriptive and value elements. A brief look at the region suggests that on one hand it deserves to be treated as a distinct category, since in various settings “Communism” may mean anti-market, or anti-religion, or anti-national (or pro-national), but on the other hand it is arguable that the core of the dimension lies in whatever “Communism” and “anti-Communism” ally with rather than the question of Communism itself. This, however, is an empirical question that will simply need more study. The question of Communism, in fact, calls attention to the underlying dynamics of the political conflict. “What are they fighting about?” may be the first question we ask when we approach a new polity (or try to figure out a polity that has become opaque to us over time) but we also need to know how the struggle occurs. We need to look at the depth of the conflict and the role of political institutions in shaping the struggle. In an effort to get some genuine writing done over the coming weeks, I am going to try to do some of that writing in a place and in a way that I enjoy, and so I plan to subject those who read this to a rather academic treatment of the question of “cleavage formation” and how it has taken place in Central and Eastern Europe. If this is not your cup of tea, then just skim right on by and come back later for more interesting stuff about Slovakia, the Czech Republic or complaints about local news anchors and the other sorts of things that occasionally appear on this blog. But for now, cleavages. The reason we study cleavages is that we want to understand conflict and to think about what is really at stake in the conflicts that dominate our polities. A question that can forms the basis of a cleavage is by definition something big, something that nearly all citizens care about enough to get out of bed and vote and that some care enough about to devote entire lives. It is also something enduring, something that, barring upheaval will be more or less the same in five years as it is today or as it was five years ago–and maybe fifty. Bartolini and Mair focused on each of these key elements in this definition in defining cleavage in terms of “a combination (overlap) of social-structural, ideological/normative, and behavioral/organizational divisions”(Kriesi, WEP, 2010). This tripartite operationalization has dominated subsequent cleavage research for the past two decades, though in the last decade it has seen a degree of challenge from those who seek to take away some elements and (or) add others. Enyedi, in particular argues that the definition is overly restrictive in its insistence on the social-structural elements. He notes that Bartolini and Mair themselves acknowledge that the socio-demographic element of a cleavage may erode, and suggests that it may be possible to have a cleavage-like conflict between entrenched “sides” without all of the elements of Bartolini and Mair’s definition. Values alone may suffice as the basis for division, and may become established simply with the habituation allowed by time. Without necessarily ignoring the underlying sociological underpinnings, scholars of cleavages have begun to focus attention on the process by which particular conflicts come to the fore, and notions of “salience” and “framing” has taken on importance in the literature that rivals that of “position” and “structure.” Recent significant work by Whitefield and Rohrschneider suggests that while party positions in Eastern and Central Europe tend to reflect a fairly consistent bundling of issues (pro-market and pro-democracy against the opposite), the overall political conflict in a particular society may not lie on this line but on more salient questions of religion and (especially) ethnicity (2009). Other works by Green-Pedersen (alone, 2011, and with Mortensen, 2007) focus on the role of agenda-setting and issue competition (defined not as competition on a particular issue but in the Carmines’ (1991) sense of competition about which issue is to be the main focus of political competition). As these categories imply, it is important to look always at the “supply” side of the political equation which looks at what political elites and their parties offer as options as well as at the “demand” side which looks at the ways confluences of human desires in particular areas shape the political realm. It is in that context that my next posts on this subject will treat the questions discussed above. Hat tip to Brad Roth for forwarding this. Poznamka: Vitajte! Prepac, ze vsetko tu je len po anglicky ale 1) moja slovencina je bohuzial slaba a 2) mnohe z mojich citatelov nehovoria po slovensky. Prepac. Mam, vsak, “google translate buttons” na pravej strane (bohuzial grafy a tabulky su len po anglicky. Ak chcete preklad, daj vediet: pozorblog@gmail.com alebo nechaj “comment”). The first time that I filled out the survey, I tried to exhibit the profile of a European social democrat, the party family closest to my own: moderately statist on economic questions and liberal on cultural questions. What came up first on the list, however was the Communist Party followed by the tiny HZDS-splinter AZEN, though with with a variety of other left wing parties nearby including Smer. I was willing to accept this result as reflective of the absence of cultural liberalism from most left wing parties in Slovakia (though I have a hard time believing that the KSS is the closest alternative). I then tried to fill out the survey as a supporter of Slovakia’s opposition. Here the results were rather good, with SaS coming first and SDKU coming second on the list, though oddly with AZEN again appearing near the top of the list. My next effort was to to represent a member of one of the Slovak national parties, with criticism of both Hungarians and Roma and mixed answers on economic questions that are less important for such voters. The result was below. As with my social democratic effort, an extreme party popped up first–the radically xenophobic NS–followed by Meciar’s HZDS and the Slovak National Party. But in between HZDS and SNS appeared the Party of the Hungarian Coalition, MKP-SMK! It is virtually impossible for me to think of any meaningful quiz in which these parties appear next to one another except on in which the adjectives “Slovak” and “Hungarian” are erased and respondents are simply asked about the intensity of their national feeling (which would be an interesting exercise but it is not what Pravda is trying to do with Volicomer). A second attempt to represent a supporter of a Hungarian party produced an equally odd pattern that included, in the top five, two HZDS splinter parties (ND and AZEN), the Christian Democrats (KDH), the Party of the Hungarian Coalition (MKP-SMK)–but not until third place–followed in short order by an obscure worker’s party (ZRS), Smer, the Roma party and the radically anti-Roma NS. The problem here is that Volicomer does not seem to be set up in a way that could produce a meaningful answer except in certain circumstances or by accident. Setting aside the fact that like almost all such tests Volicomer is based only on policy questions and not on relevant circumstances such as who respondents voted for in the past or their affection for individual politicians, its failure to identify party preference has more a fundamental cause in its failure to deal with the linked questions of underlying issue dimensions and their salience. Voters’ answers to political questions tend to form a limited number of reasonably well-defined clusters, (in which case an individual’s answers each of the questions is, theoretically, fairly closely related to the answers o the others). The content of these clusters varies from country to country and from one decade to the next, though most countries have long-lasting oppositions between pro-market and pro-state clusters on economic questions and many have similar clusters on cultural and religious questions, questions of foreign policy, regional and language policy and other sets of issues (for far too much detail on this question, see http://www.la.wayne.edu/polisci/kdk/papers/cleavage.pdf). In some countries all the major political questions are more or less reducible to a single cluster, so that we can speak of one-dimensional political competition. In most, however, knowing voters’ or a parties’ position on one did not help guess positions on the others, producing two or three relatively independent dimensions. (One of the core messages in my own courses on American politics is that despite our obsession with the all-out war between “liberal” and “conservative,” there are at least two dimensions in American politics: one economic and the other cultural. For far to much detail on that question see http://www.pozorblog.com/2010/03/american-politics-in-a-nutshell/). This gets a bit complicated, of course, because “nation integrating” means, “Slovak nation defending” and its rival pole is not so much “Slovak nation integrating” as “Hungarian nation defending” but I simplify it here because the main area in which Hungarian parties and Slovak parties agree on this side of the axis is the need to integrate Slovakia into European structures. Regardless of their labels, the important question is the degree to which these axes are independent of one another or somehow aligned so that positions on one are closely related to positions on the other. This is an open question in changing circumstances. I have some thoughts that in fact political competition in Slovakia is not defined by two dimensional but actually contains at least two additional “half” dimensions. One of these is cultural, not in the national sense but in the religious sense and relates to issues of church and state and traditional morals. The dimension seems to be at right angles to both of the others, forcing the inclusion of a third dimension on the graph, but unlike the others two dimensions, the distribution of people and parties on this dimension is quite asymmetric, with a relatively small share on the side of the church and traditional moral and the bulk of the population and the party system on the other side. A second half-dimension, more speculative, is one that Tim Haughton and I have identified in Slovakia and other countries in central and eastern Europe: a “novelty” dimension. We have argued that there is a relatively stable (if not dominant) bloc of voters who seek less corrupt governance and who seek new, untainted parties to achieve the goal, but who are invariably disappointed when those parties themselves become corrupt. Thus although the dimension remains stable, the players on the “New and ‘clean'” pole are constantly changing. Parties such as ZRS (1994), SOP (1998), ANO and Smer (2002), SF (2006) and today’s SaS and Most-Hid have at their peak occupied the “new and ‘clean'” end of this axis but slip gradually to the other end and, with the notable exception of Smer, which found other issues on which to build its base, disappear from political competition. Which brings us back to the Volicomer question. It is virtually impossible to understand the role of programmatic issues for party choice without a clear understanding of how those issues cluster together, how many clusters there actually are and how they are related to one another. Except in certain circumstances, a simple additive list will ultimately produce gibberish (as Volicomer does on anything other than the economic dimension where the plurality of its questions are concentrated), while the best political quizzes begin with the question of dimensionality (see Idealog, http://www.idealog.org/, and Political Compass, http://www.politicalcompass.org/). Even a quiz designed to account for Slovakia’s two-and-two-halves dimensions of competition will not produce particularly meaningful results unless it also accounts for the salience of the issue clusters. All parties and voters emphasis that parties and voters place on them clusters when making their political decisions and these are not the same form party to party or from voter to voter. In Slovakia in particular, those who tend to care about national questions put relatively little emphasis on other clusters of issues while those interested in economics usually put national questions in the background. Knowing a person’s positions on issue dimensions, therefore, is important only if you know which of the dimensions is most important for that person. By asking a high number of economic questions, Volicomer privileges the economic dimension and therefore produces acceptable, if not particularly useful results on that dimension while failing to produce anything meaningful on issues that are restricted to one or two questions. The “National Question” is the most polarizing and those who care about national issues are unlikely to care about much else. The “National Question” is largely distinct from the economic questions, though those who care a little bit about national questions are more likely to prefer a statist economic policy (hence the “a bit” option that points to the choice between Smer and HZDS. This was not always the case but the two axes have slowly come into closer alignment). The choice between MKP-SMK is largely a personality driven one and therefore largely unpredictable on other bases. The choice between SDKU, KDH, and SaS is one based on religiosity in the first case and novelty/”cleanliness” on the other. In other words the two half-dimensions currently function primarily within the right wing of the political spectrum. My guess is that by the next elections there will also be a “new party” alternative within the left wing that will siphon some votes from Smer, but we will have to wait to see about that. I’m not convinced I’m right about any of this, so I’d encourage everybody who reads this to try Volicomer, try the quiz above and see which works better. On this, as with everything, I’d love to see a larger number of reader comments! My students laugh when I tell them I study cleavage in postcommunist countries, but sometimes, by accident, the image that flashes into their minds is the correct one. Those who lament the disappearance of communist era political humor can take some solace in my recent discovery of the following poem (badly translated by me) on a bathroom wall at the University of Muenster in Westphalia. SME, for its part, has posted a rather elaborate online election game which involves making the right choices for candidates: http://volby.sme.sk/hra/ Some of the questions are themselves quite funny and there’s a nice selection of Shooty’s best cartoons. Finally, in searching for the Ulbricht poem above I discovered that the Büstenhalter-Walter rhyme found another life in the best possible circumstances: the German version of Monty Python’s Lumberjack Song, in which it replaces “bra” and “papa”. Nice job here by Michael Palin. What coalitions are possible after the elections? Which are most probable? Why? Much of this is conjecture on my part, though I’ve tried to ground it as well as I could in data. As always, I crave comments lest I write out into the void. pdf–shorter but with no animations and a few funny looking pictures.